Current Cash Special: $30 Adjustments & $15 Therapies! With aches and pain in the shoulders, neck or back, many people are content to try and carry the pain on their own instead of seeking treatment in the hopes that everything will get better with rest. While this may work for minor injuries, more serious issues will need professional treatment. In many cases, minor injuries can worsen over time without treatment and become a much more serious health issue. 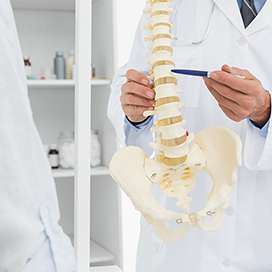 People who walk away from a car accident with what appears to be minimal cuts and bruises will want to seek professional chiropractic treatment. We can help ensure there are no early warning signs of a serious condition forming. Along with that, we will help patients throughout the recovery process. We offer the chiropractic treatment you need to recover and continue living life to the fullest. From the moment patients walk in the door to any follow-up appointments, our team strives to establish a comfortable and welcoming atmosphere for patients. Along with that, we will help patients relax when they receive treatment to help relieve stress and pain. To help the patient heal, we will need to guide them throughout the treatment process. In many cases, the treatment will take more than just one appointment. The amount of appointments and length of treatment will depend on the type of injury we need to treat. Along with that, the participation on the patient’s part will help to promote the recovery process. We provide a variety of services to help the patient recover and continue to avoid damaging the same area again. With our treatment, we can target the source of the pain instead of just the symptoms. 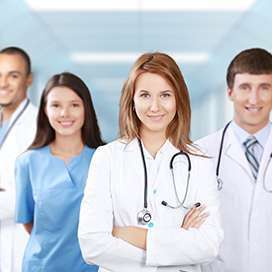 We have the medical skills and tools to act as an auto injury chiropractor, personal injury chiropractor, sports injury chiropractor and family chiropractor. We provide treatments that include auto injury treatment, spinal adjustment, whiplash treatment, herniated disc treatment, back pain treatment, neck pain treatment, active rehab therapy, knee pain treatment, sports injury treatment, sciatica pain treatment, electrical muscle stimulation and massage therapy. We can help find the treatment to meet your needs. To begin the treatment process, we will need to gather information on the patient’s medical history, current condition, insurance, allergies and any other pertinent health facts we need to know. After gathering this information, we will then conduct an examination to determine the source of the pain and the extent of the damage. Once we determine the condition the patient is struggling with, we can customize the treatment to their individual needs. We will also have the patient slowly begin to incorporate exercises and stretches into the patient’s daily routine to promote recovery. The first step toward treatment is to schedule an appointment today. We can help you find long-lasting relief from chiropractic injuries and pain. Copyright © 2019 All Rights Reserved Esposito Chiropractic.